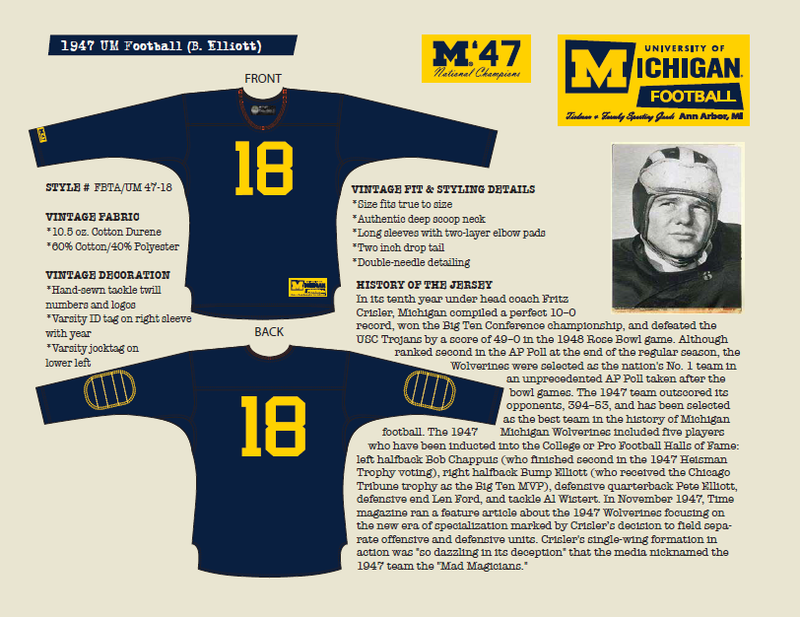 As many of you know, my passion for the history of Michigan football is exceptionally high. I'm not alone in this regard; it is why I have a kinship with Greg Dooley of MVictors.com in large part because of this. 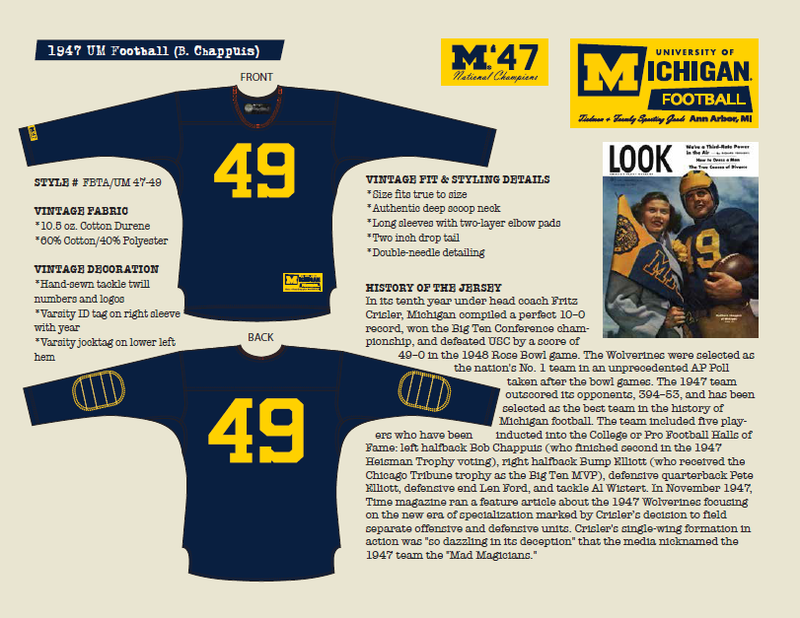 Greg's work on the Michigan uniform timeline is a passion project and one I have been happy to be a part of as well. *-Yet another example of my firm belief in the Craig recognize Craig rule. Well, what's available this year for you, Michigan fans? Let's start with a 1927 Benny Oosterbaan felt sweater. Block M on the front, #47 on the back, complete with the Drop Tail. Perhaps a little warm for September games, but still, Bennie! 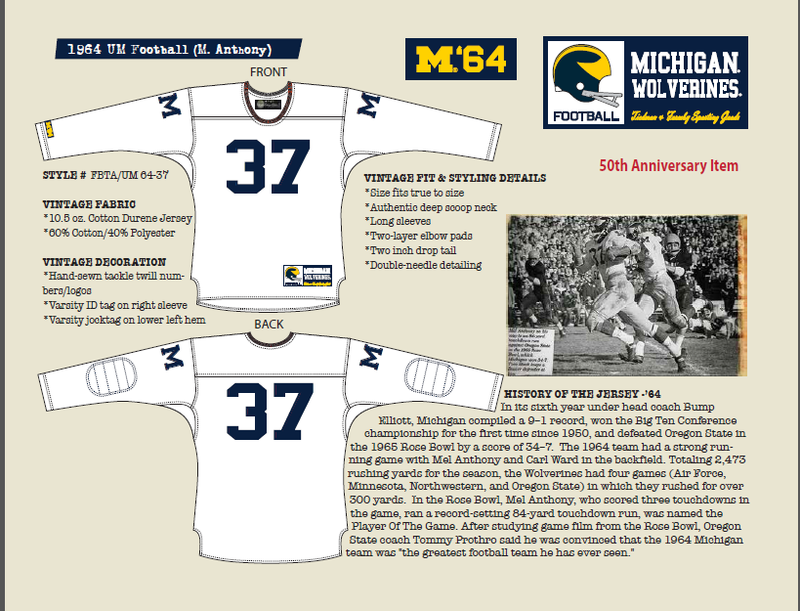 The 1964 Rose Bowl team, coached by Bump, led by Captain Conley, celebrate their 50th anniversary this year, and T&F celebrate them with a Rose Bowl jersey from that year, Mel Anthony's #37. They nailed the shoulder Ms, well done all around. 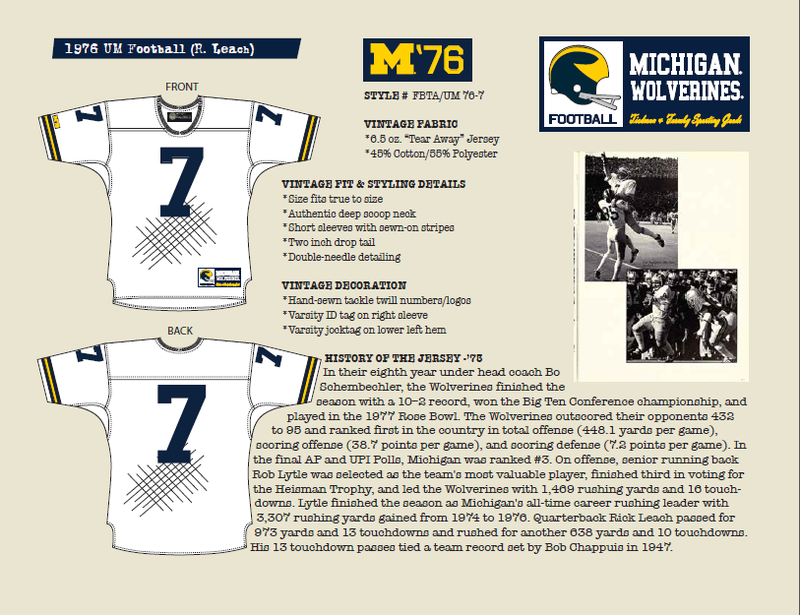 Next up, one that I think will be very popular, partially as it has not been offered before, but the 1976 away jersey for the Guts and Glue of the Maize and Blue, #7, Mr. Rick Leach. The detail note here I love is the exceptionally narrow sleeve stripes which were a mainstay of the mid-70s tear-away away jerseys. 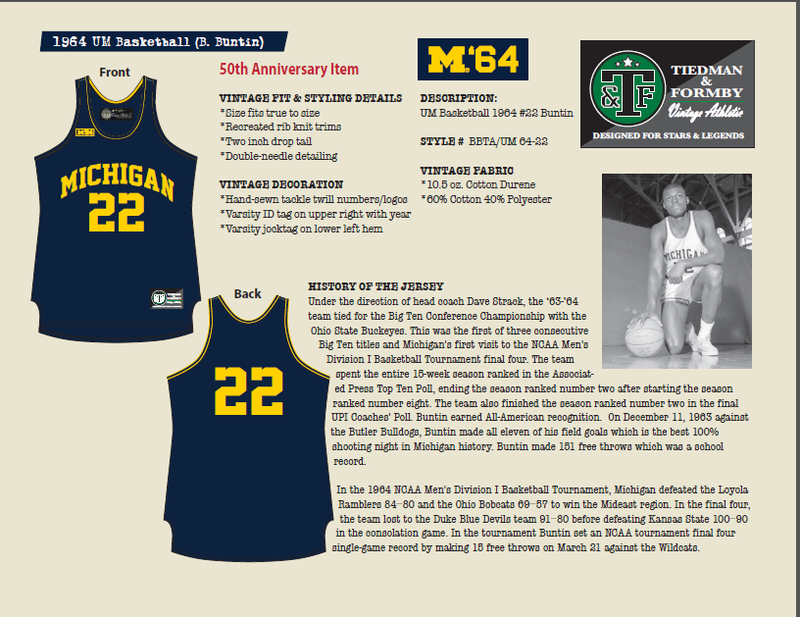 T&F also brings back three 1990s classics, Howard, Woodson, and Brady, in the porthole mesh and dazzle fabric, which I presume will replicate the 1990s look to a T.
On the basketball side, another 50th anniversary item, a road jersey for the Final Four team, represented here by #22 Bill Buntin. Such a classic look to this jersey. Were adidas not so concerned with their own branding, this should be Michigan's basketball look. Clean, crisp, classic. 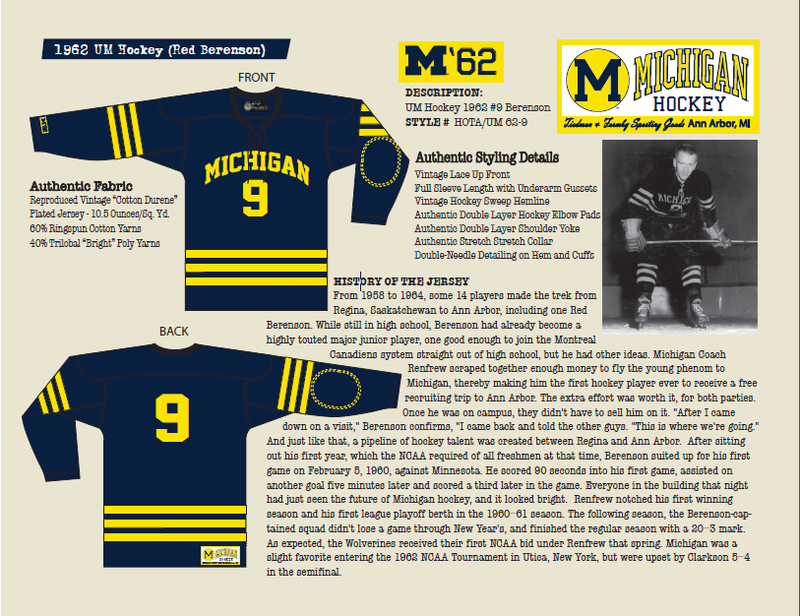 And last, and certainly not least, on the hockey side, the greatest Michigan jersey ever, the 1962 Red Berenson navy sweater. 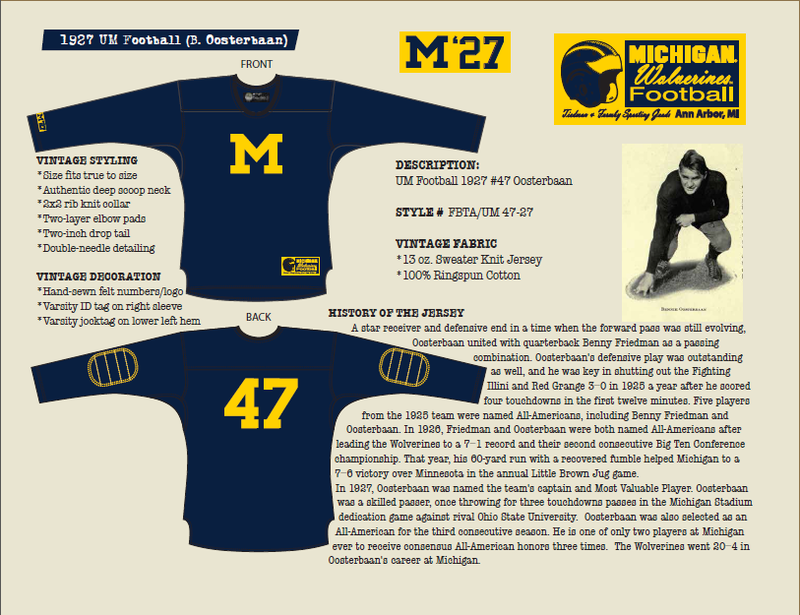 I am so happy Michigan embraced its classic past in recent years (even if the Block Ms are a bit gratuitous.) But now, if you've regretted the branding choices, you can get the original, in the original sweater material. All in all, T&F have done a great job "getting it right". Classic materials, classic sizing (which yeah, keep that in mind when ordering), the small details. 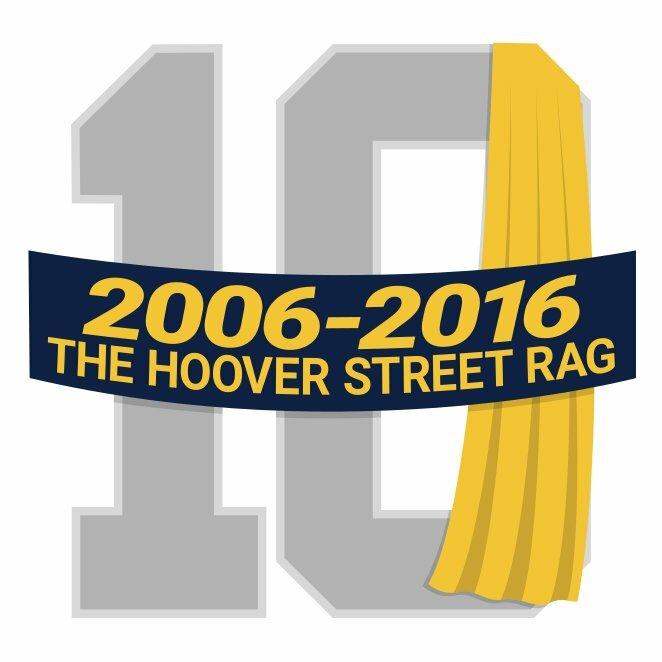 If you have a passion for Michigan's classic looks, this is the place.